There comes a stage after the long hard fight when you can look back and evaluate everything that happened, everything that you felt, and how that affects the rest of your life. 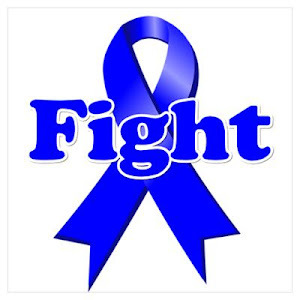 I fought cancer for a year and a half with all my strength, and I am still fighting to overcome the residual effects. Now, though, I feel strong enough to see things - and people around me- clearly. I have read many conflicting accounts by cancer survivors; some say that they felt an incredible amount of support from everyone around them, others were more down to earth and said that people treated them no differently. For me, I feel that cancer was a watershed. Before cancer I had no way of knowing who my friends really were. When I was lying in bed feeling too weak to get up in the middle of chemo, when cold water hurt to drink, when I was lying in intensive care after barely scraping through an emergency operation for peritonitis, it suddenly became apparent, very apparent. Luckily for me I was and am surrounded by people who care for me, first of all my wonderful partner, Oren, who took a lot of s**t when I was on the steroid crash once every three weeks during chemo, when I was hurting after each of the three operations I had, and when I just felt crappy, and kept on through it all, doggedly determined to see it out. My daughters all kept in touch and visited as often as they could, and my parents emailed regularly and visited from abroad twice during this time. Waking up to see all my daughters and Oren peeping round the door to the recovery room after the last operation was the best present I could possibly have got, even though they were hustled out by the nurse immediately. I knew they were there, I knew they cared enough to be there, and that gave me so much strength. Oren's family too, tried their best to help, although I think they were a bit scared of me. I was thorny, I know; I am thorny at the best of times, and these were not the best of times. One of the best things which happened in this time was that I got back in touch with my best friend from way back, and she gave me another valuable source of strength and comfort,another shoulder to cry on and a good laugh too sometimes. With all the good has to be bad; how would we recognize good otherwise? Those who tried to push religion, quack remedies, internet rumours of a miracle cure...And those who just didn't care enough to stay in touch. Those who never sent an unsolicited email, or sent one, and then forgot about me. Those who didn't visit, or offer to visit, those who never picked up a phone, once, to ask how I was. Those people are no longer on my Christmas list, and silly as it may sound, it took something like this for me to take them off it. It's true... there is great clarity. For me, my partner was a major disappointment. But my friends gave me all they had. My mother was also a major disappointment. I will never understand her lack of compassion. But we are here, amongst the living! And it feels soooo good :) cheers to US! YES! Cheers and celebration, we are ALIVE! You have disappeared from my FB and I'm sorry for that. I've been missing you but this is the only way I know of reaching you. jenny@networkescape.com if you get this and feel like contacting me! I do hope you're alright! Two Updates in One Year!